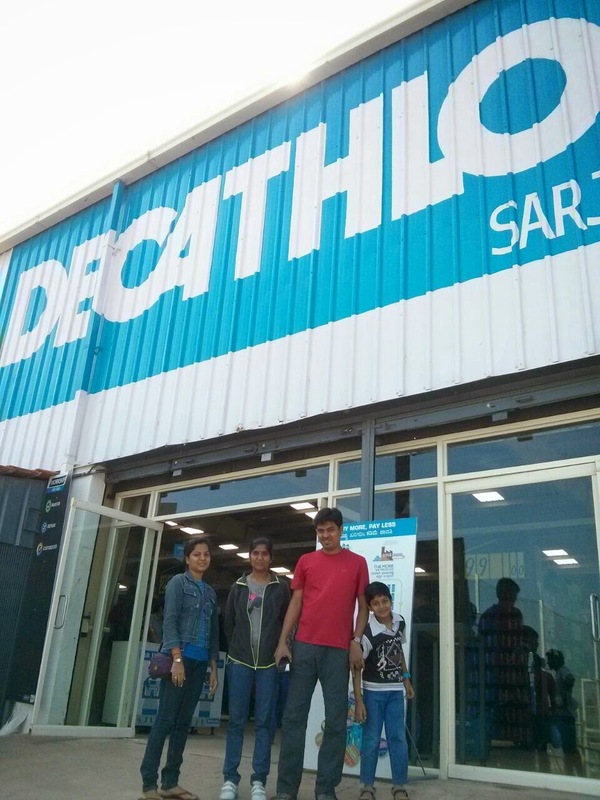 Today morning we all planned to visit Decathlon situated in Sarjapur road, Bangalore. Decathlon is a one stop shop for buying all kinds of sports equipments and sportswear. It even keeps organizing sports events so that one can try the products and discover the sports even if you have never tried before. Bought Suju his much awaited shoes for tennis. Rest of us too bought footwear.